The groundhog may have predicted only six more weeks of winter, but in some places in the country, they are looking at snow! 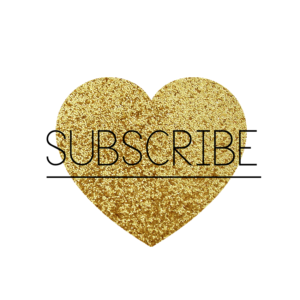 So, if you are stuck inside, for whatever reason, or just need to do some shopping for your honey, here is a quick and EASY gift guide to get you ready for a big day of LOVE! These are all available online and you still have enough time, so get going! I've given you a bit of this and that for guys and mostly gals, (hint hint to my hubby) and a range of prices. Some gifts are here purely for eye candy because I know they will never be in my future, but alas a girl can dream, right? I LOVE (the unfortunately named) Lauren Bush Lauren's Feed Project! She garnered her fashion sense and altruism and made this cool company where you not only want to own all her goodies, but the gifts also just happen to raise a whole lotta money to feed kids all over the world. Wish I'd thought of it. 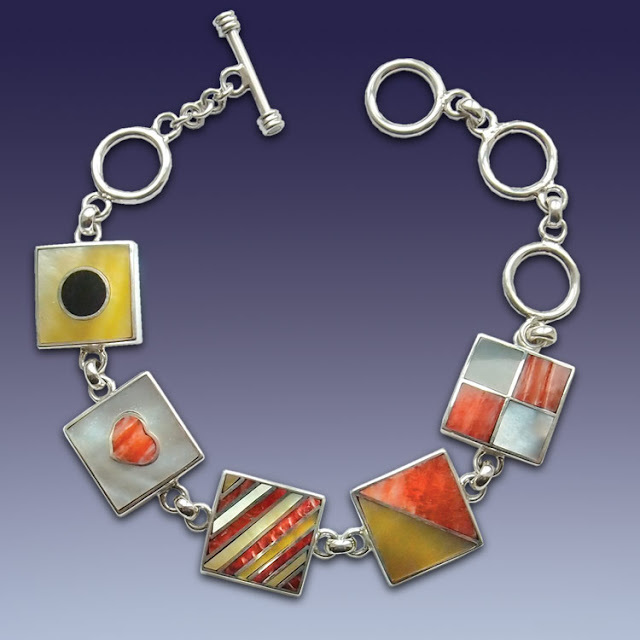 Anyway, why not buy your sweety (or yourself) this bracelet? For each one purchased, you provide 5 school meals for children around the globe. It's a win, win, win at only $18! I say "ish" because if you're looking for a serious read, this isn't it. But, if like me, you've stumbled upon Lee Radziwill's first book, Happy Times, (like I did at the Gorsuch store at the base of Vail Mountain) you became a fan and wanted to see more! 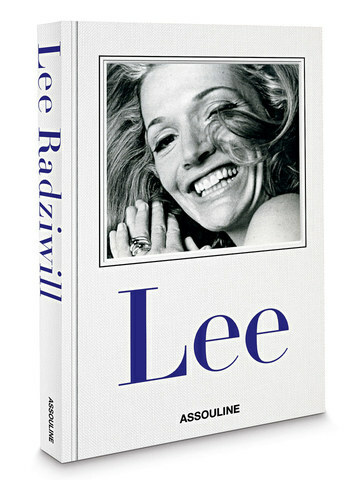 This book is a pictorial guide with each chapter devoted to a VIP in Ms. Radziwill's life. It's like candy for the brain. What better day than Valentine's Day for this than that? You can find it on Amazon for less, but the selling price is $50. Olive and Cocoa is a catalogue I wait to devour every time it arrives in my mailbox. The pictures are stunning, and of course, I can't help myself but gravitate to their beautiful arrangements. 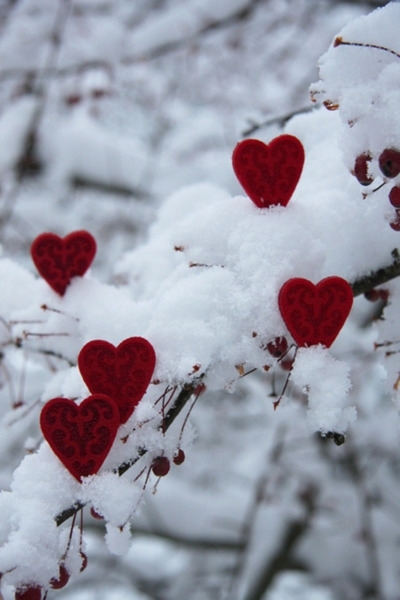 For Valentine's Day there is nothing nicer than a simple heart. This one is so stunning and clearly not simple. 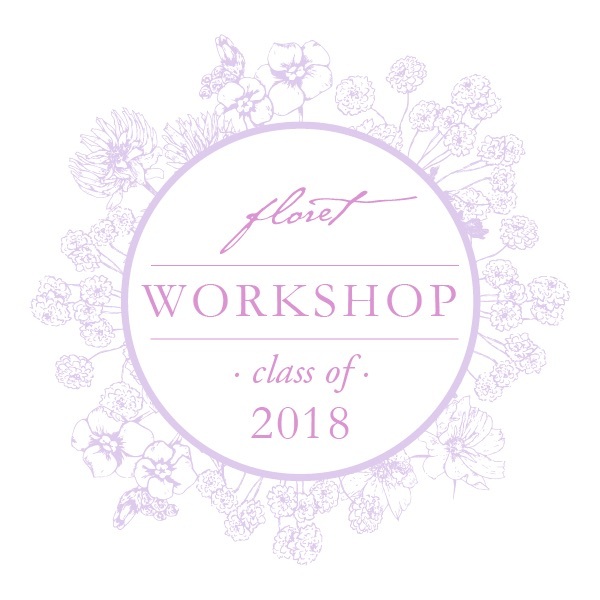 It does requires next day shipping, but the Jolie Le Coeur, ($138) literally translating to "pretty heart" steals the show and my you-know-what. In case you were having a heart attack at the prices of the fab gifts listed thus far, here's one that's sure to make you smile! 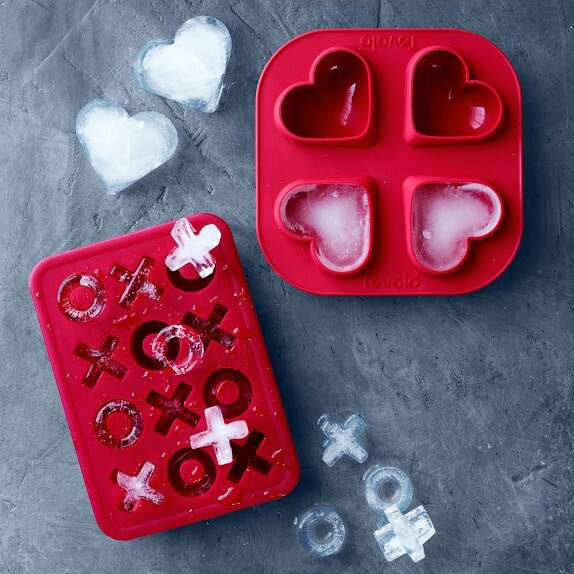 This set of two silicone ice cube trays from Williams Sonoma come in at a tidy $12.95. Can't tell if they'd work for jell-o shots, but I'm game! Who's in? I think David Hicks', India's famous designer dad, (did you see my post on meeting the uber-cool India Hicks herself? Read all about it by clicking on her name :)! Anyway, David and now India, among others, are famous for their tablescapes. Basically that means that they artfully arrange objects, books etc. on tables and make them look all purty. 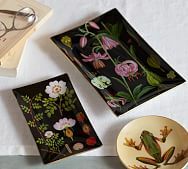 These decoupage trays from Pottery Barn ($16.50-$24.50) will add just the perfect touch and every time you see them, you'll smile. Someday, I would LOVE to meet Kiel James Patrick and his gorgeous fiancé, Sarah, the masterminds behind his eponymous, and every prep's dream, company. 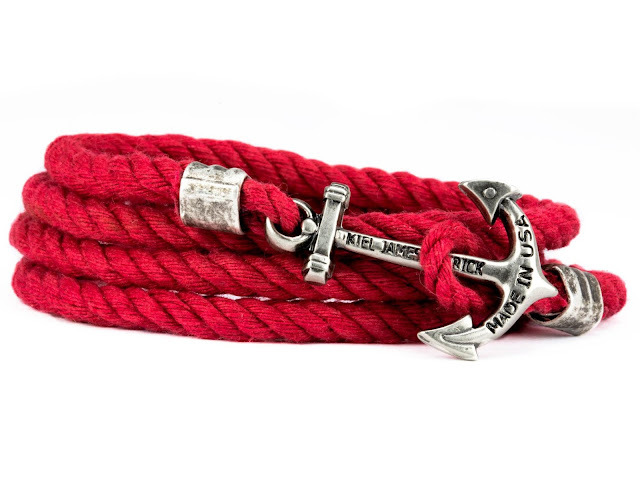 Guys and girls can wear the aptly named Nantucket Lifeguard bracelet, (I'll do anything to mention Nantucket in every post of mine - lol) at only $40, made next door to me in tiny Rhode Island, it features his iconic anchor. You'll all be thanking me later! Going "Old School" for this one! I can't say I'm a fan of cribbage, although my dad did try to make me one on more than a few occasions. 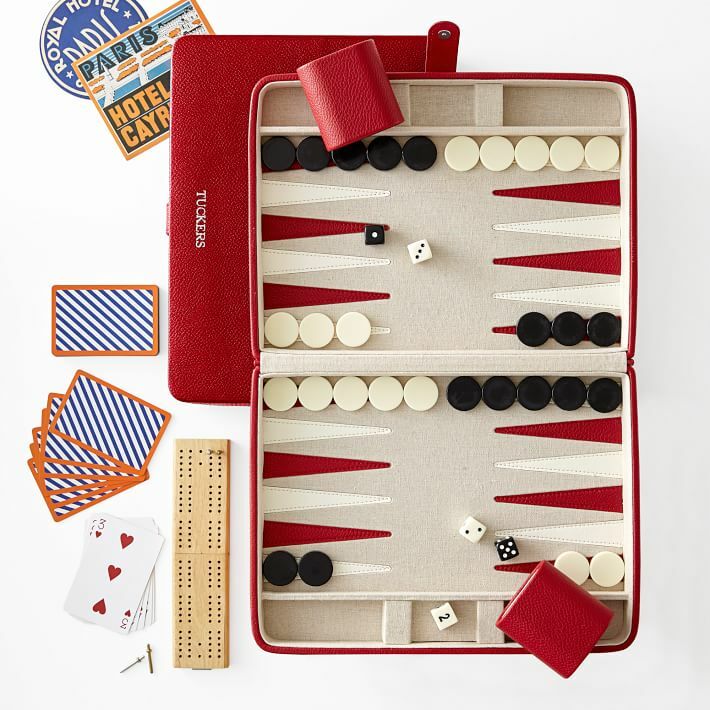 But I LOVE backgammon, and this combo is really snappy and cool! It's from Mark and Graham and you can even have it monogrammed all for $99! Commence angels singing! I'm not a huge robe fan, since I mostly sleep in a t-shirt, but then maybe I should be? I would look SO much better scooting to the loo in the morning in this robe, rather than schlepping my not-so-hot bod in just a t-shirt. I love pretty much anything from Roberta Roller Rabbit, and this robe in the Jemina pattern ($85) just may make a convert of me yet! 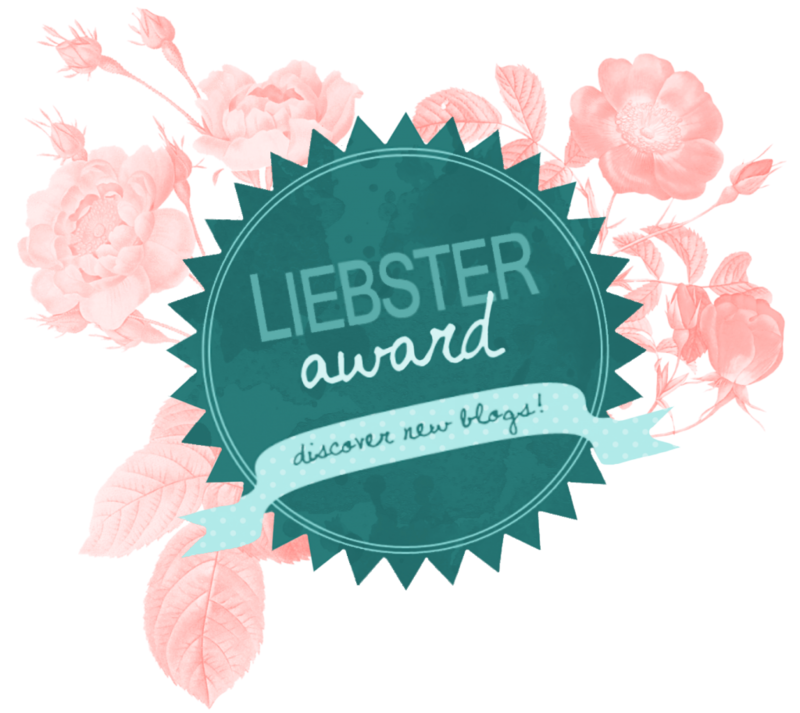 If you've been a fan of this blog, (thank you), then you know a few things about me already. 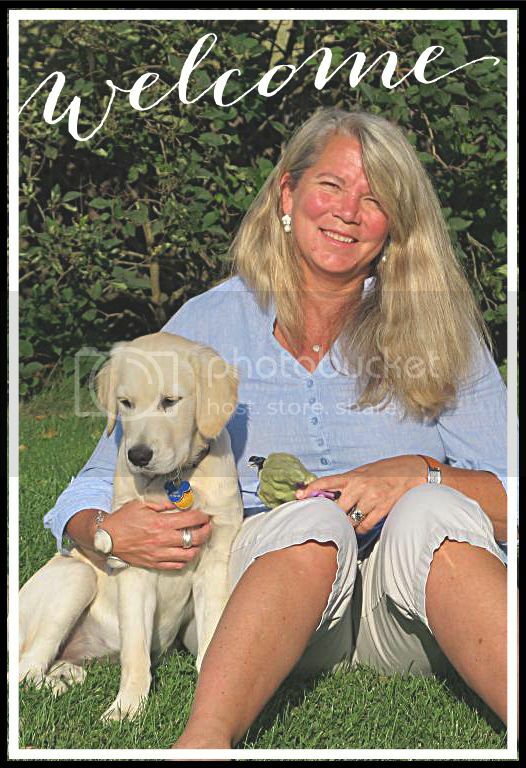 I LOVE Nantucket, and most of my jewelry I wear is made by my best college friend, Meg Carter, through her company Meg Carter Designs. 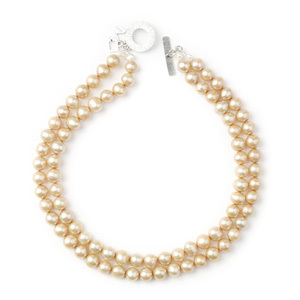 This beautiful "Sloane Square" choker of champagne pearls ($265) would be the perfect "wow" gift, and an easy pass for whatever the night holds later! Because Meg's my friend (check out her studio in my post about her the stunning Meg Carter jewelry), she's kind enough add length to her necklaces. 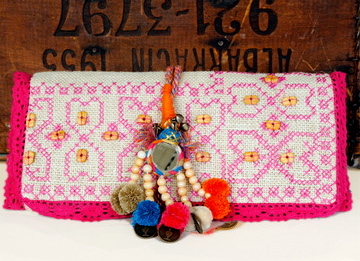 Since this choker is 16" long, and a wee bit too small for my neck, I know who to call! She's so nice, she might even do the same for you! SO simple and yet so fun! 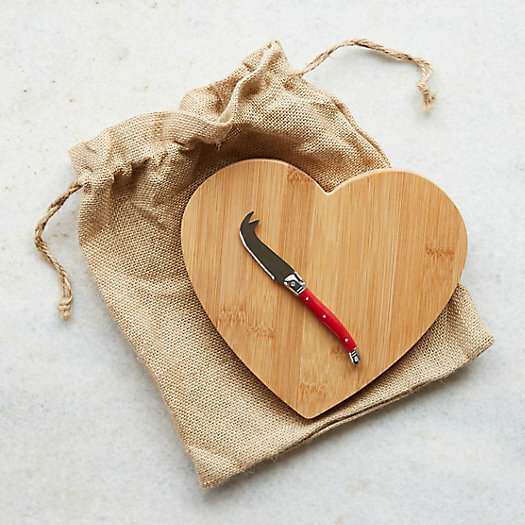 This heart shaped bamboo cutting board and cheese knife from one of my all-time faves Terrain, is only $48! I can easily see myself using this goodie on board the mighty Seyon or in my retro RV, Torpedo! 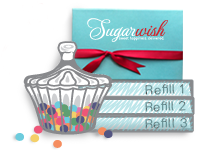 Sending someone a Sugarwish is one of the coolest ways to send your sweetheart some sweets! I have sent so many of these to my kids and they LOVE getting them because they get to select what kind of candy as their "wish". 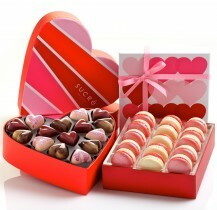 Their goodies then arrive in a beautifully presented box with a pretty red bow. The Wish & Dish ($95) allows the recipient to choose four of their favorite kinds of candy AND receive a sweet dish to put it in! Yum! 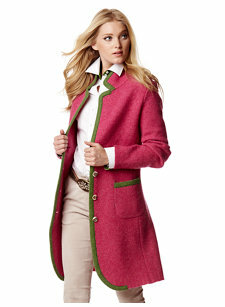 In the most definite SPLURGE section, this Wolfgangsee jacket ($895) from Gorsuch is my pick! If only I could fit in one as nicely as the model, but hey, I'm working on it! Made with boiled wool and replete with stag buttons, this is sure to catch any apres ski crowd's eye. Burberry is one of those staples in life that somehow everyone should own, or if not, hopefully inherit a piece. From their iconic scarves, to their jackets and everything in between, you just feel a little more chic and a bit British when adorned with Burberry. 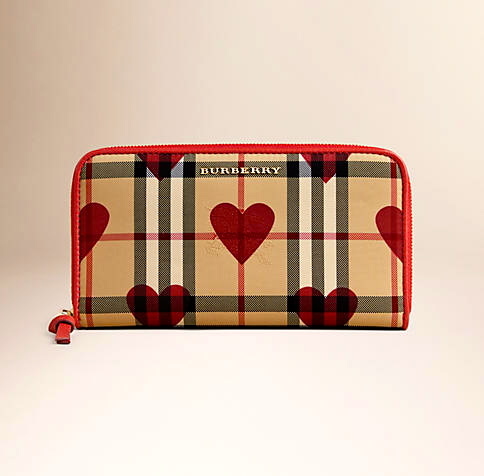 This Horseferry Check and Zip Around Wallet, is also in the OMG splurge category, but go big or go home, right? There you have it! Get your shopping on! 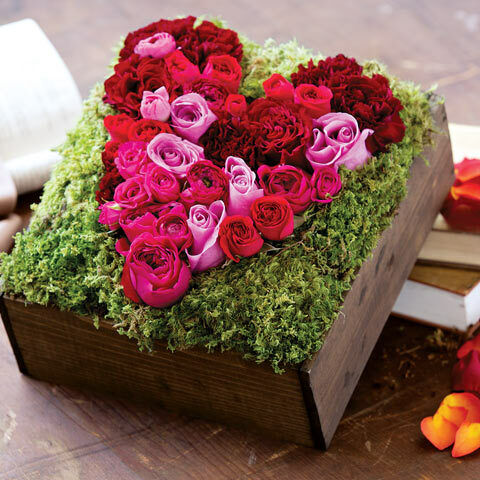 And no matter what, tell everyone you love how much they mean to you on Valentine's Day!